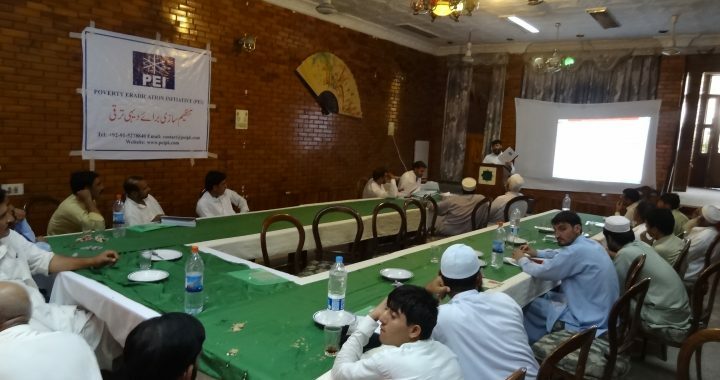 The objectives of the training were to deliver the knowledge about community & social mobilization and community development to the HAMC members. The HAMC members were also to facilitate on meeting registers and other materials of the committee. 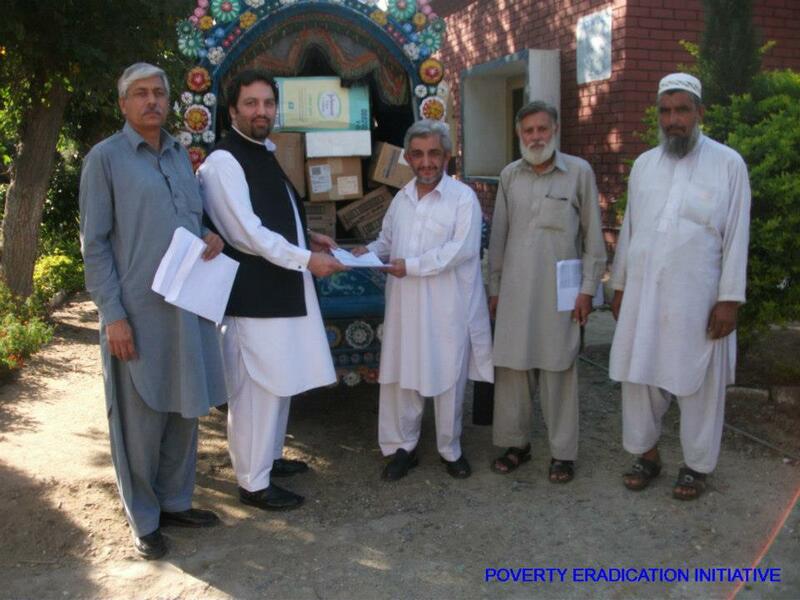 PEI has distributed medical and surgical supplies under its medical support program in various health facilities i.e. RHC Ambar, RHC Marghuz , BHU Ismaila Swabi dated 24th October 2012 and Itifaq Kidney and General Welfare hospital Gulbahar Peshawar dated 3rd November 2012, these donations were handed over to the Medical Superintendents of the health facilities. 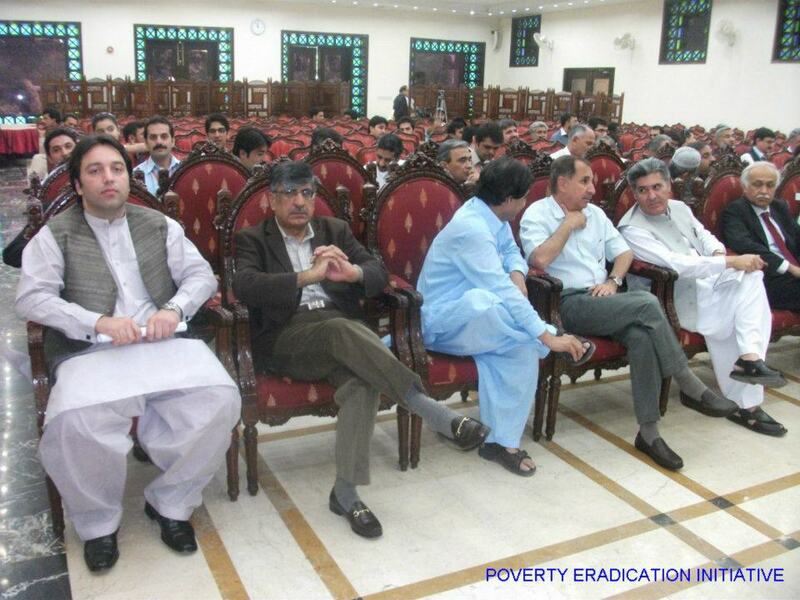 Underprivileged were given non food items (NFIs) here on Saturday January 05, 2013 Khazana, Peshawar. 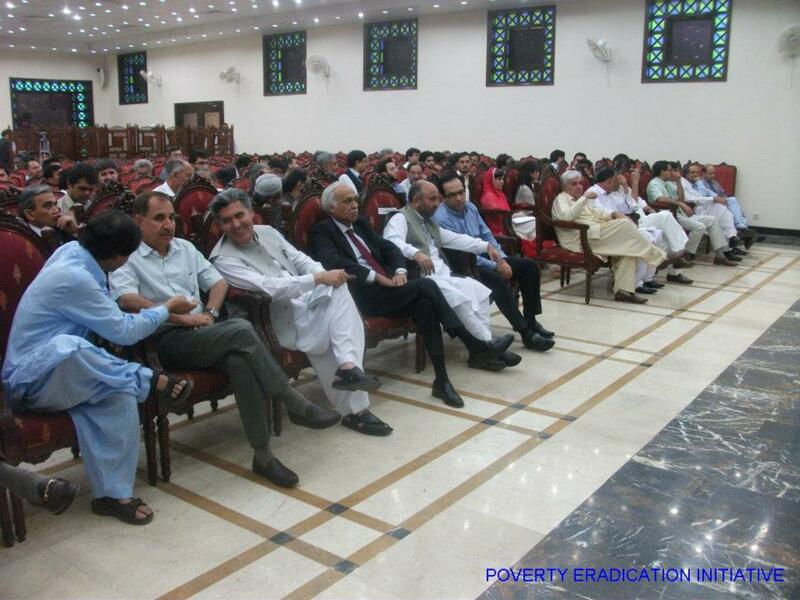 The ceremony was started at 12:00 pm held in Village Kankola, Tehsil Khazana and District Peshawar by the Poverty Eradication Initiative (PEI), a non government organization based in Peshawar. 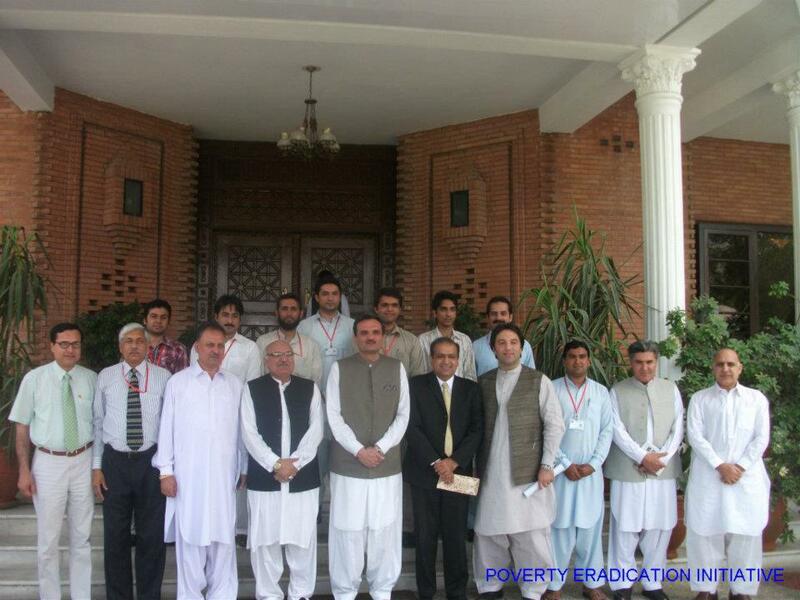 A total of 2005 poor people (403 Families) were given relief at the ceremony by the organization. On behalf of Chief Executive Director PEI Mr. Shahid Yusaf, Mr. Gohar Ali Shah Operations Manager PEI highlighted the relief campaign; he said that relief distribution was part of the efforts launched by the PEI organization to fight poverty, adding that the areas of interventions of the organization over the years include small-scale community infrastructure development and youth development initiatives with a special focus on women and children. 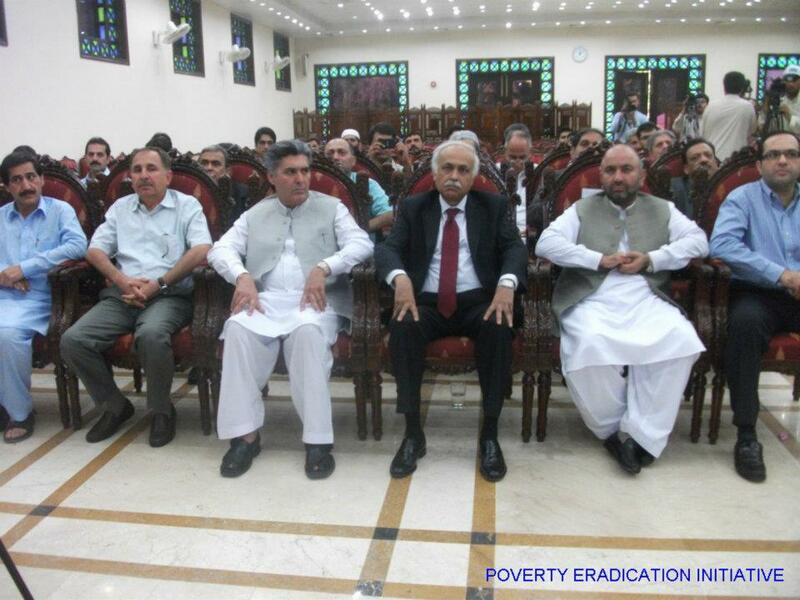 In the distribution, Mr. Rashid Mehmood Khan, The Provincial Vice President (PML-N) and Mr. Arbab Akbar Hayat, Provincial Additional Secretary (PML-N) were present as the chief guest. 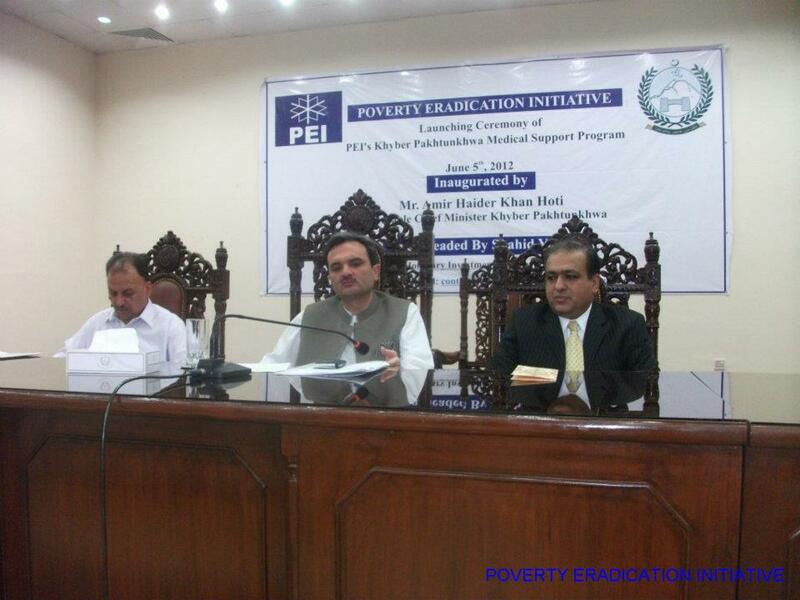 Mr. Rashid Mehmood Khan thanked and appreciated efforts of PEI about their support to help poor families and also highlighted the Medical Support Program that it is so much important for poor patients. He really once again thanked PEI for their NFI and MSP Project. 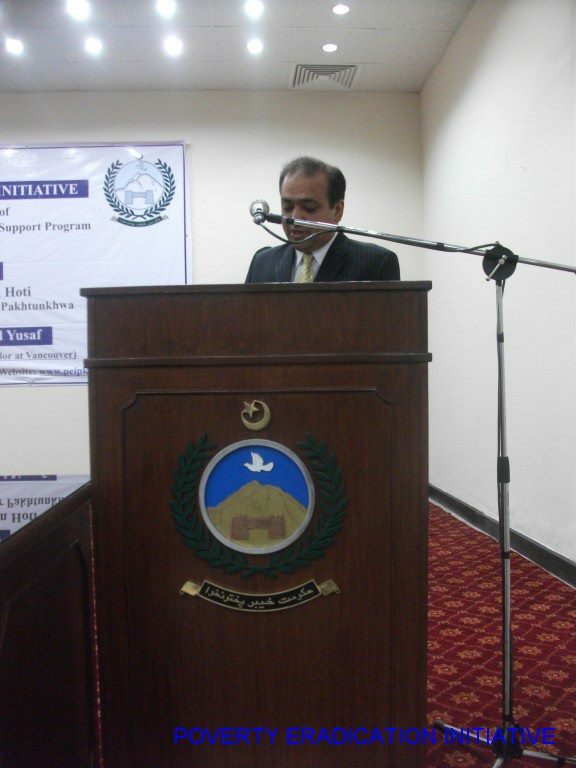 Mr. Gohar Ali Shah Operations Manager PEI thanked everyone who work and make this event successful, and said that we will continue our efforts to decrease poverty in whole Pakistan. 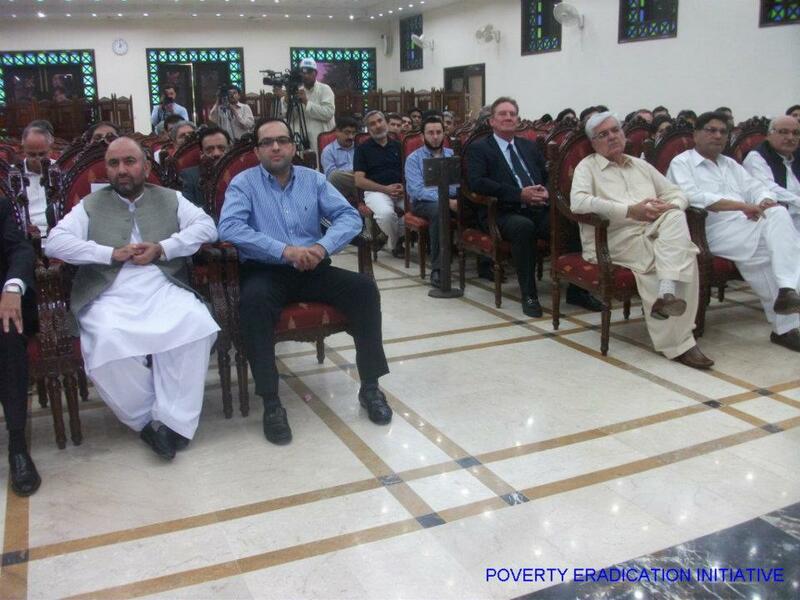 The Project was made possible by the assistance and cooperation of Pakistan Poverty Alleviation Fund (PPAF) and Hope International, Canada to improve health care services in Pakistan, Mr. Gohar Ali shah added. 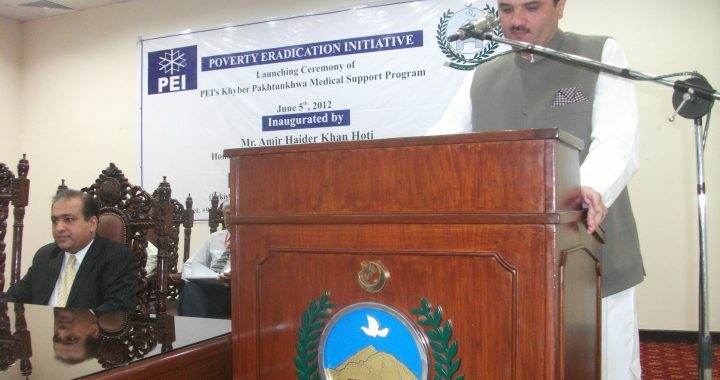 PEI has already signed a Collaborative Grant Agreements with the Governments of Balochistan and Khyber Pakhtunkhwa to distribute medical goods in kind donations worth four billion rupees in the next 4 years to provide relief and assistance to improve medical service standards in the government health facilities for the benefit of poor patients. 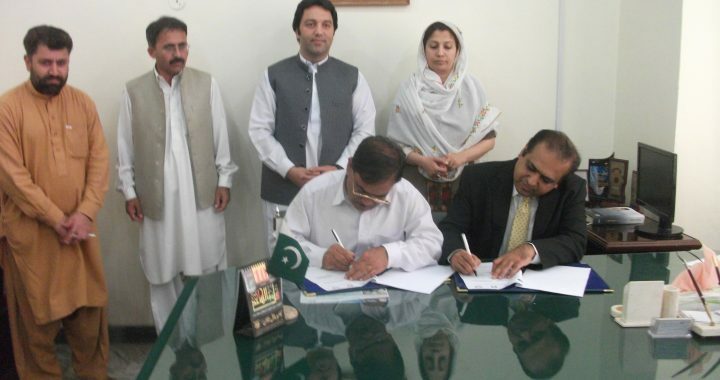 PEI has also signed an MOU with Social Welfare, Special Education& Women Empowerment Department Government of Khyber Pakhtunkhwa so as to Provide support and assistance in kind for disabled and needy individuals through the department. 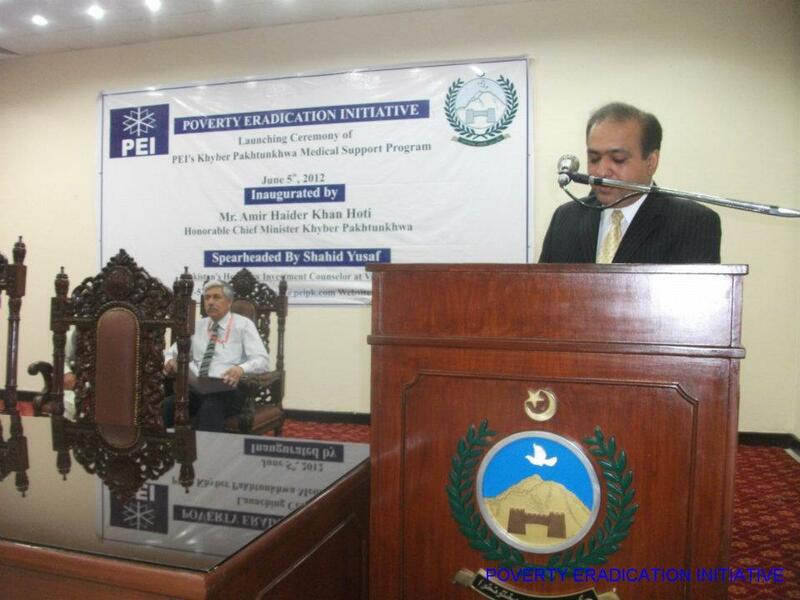 Mr. Shahid Yusaf is the CEO of PEI and also Pakistan’s Honorary Investment Counselor in Vancouver, Canada. 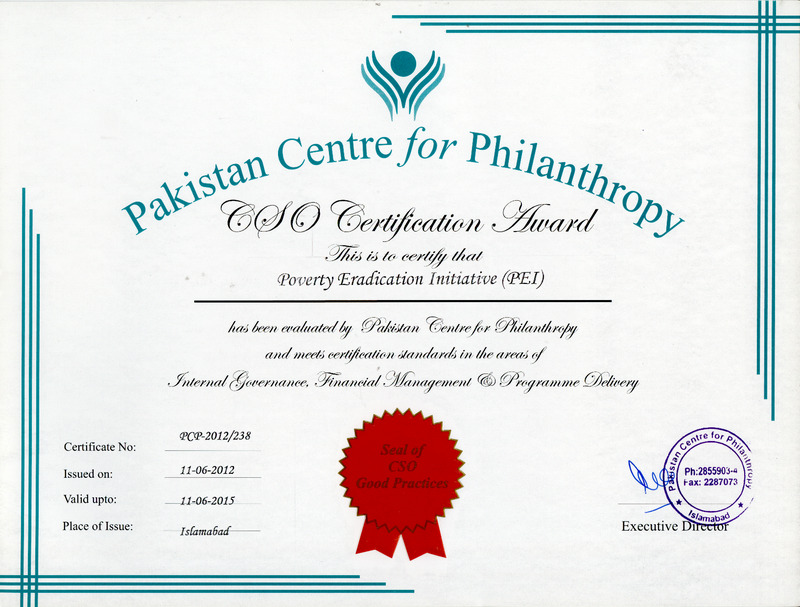 His commitment to help the poor and vulnerable groups in Pakistan have been recognized by many, during the past ten years. PEI has signed MoUs with 11 different universities of Khyber Pakhtunkhwa and for that doing Youth events in different universities for the betterment of students and better Pakistan. 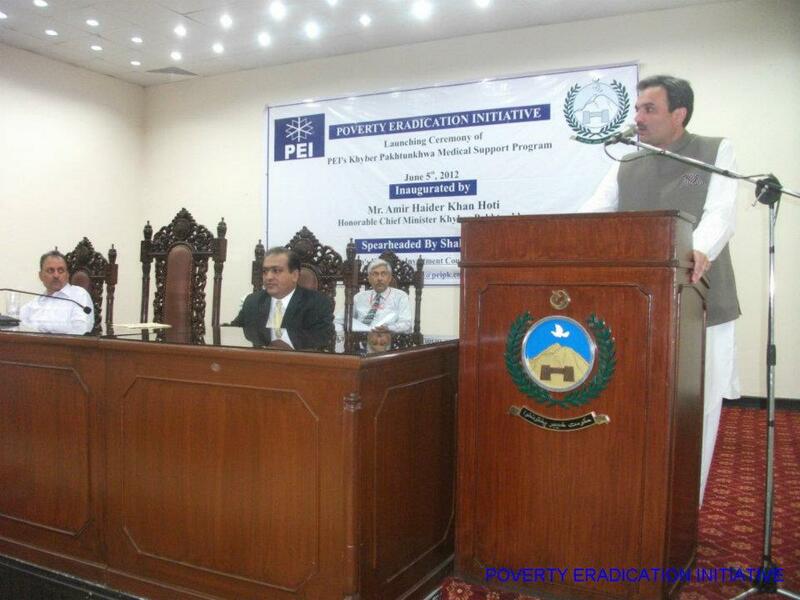 PEI is also striving to achieve the UN Millennium development goals by organizing various Youth activities such as; Workshops, debate competitions and seminars etc. Underprivileged were given non food items (NFIs) on Tuesday December 4th, 2012 at Saraye Norang, Lakki Marwat. The ceremony was started at 10:00 am held at Bacha Khan Women and Vocational Center Saraye Norang, Lakki Marwat by the Poverty Eradication Initiative (PEI), a non government organization based in Peshawar. PEI Handover GIK to (LRH,KTH and HMC) Peshawar. PEI handed over Sodium, Sterile Water Irrigation, Povidine Iodine 2-3/4 and 4 FLOZ, povidine Iodine Swabstick, Prefilled Nebulizer Kit, Sorbitol Manmnitol Irrigation, glycine irrigation 3l, Sodium Chloride Inj. Usp1000ml, Dextrose (D5W) 750 ml, Povindine Iodine Pad, Potassium Chloride oral Sol, Lactated Ringers, Antiseptic Sol. For Skin, Sodium Chloride Irr. Hetastarch in Sod, Dextrose, Sterile Water (Humidifer Preifilled 500 ml, Chlorhexidine Gluconat, Plasmalyte PH 7.4 Inj and Antiseptic Cleanser of large quantity to Lady Reading Hospital (LRH) Peshawar dated 24/12/2011 to assist vulnerable people. PEI distributed large quantity of Medical and Surgical Supplies in Quetta, Naseer Abad, Jafar abad and Sibbi health facilities of Baluchistan Province, to assist vulnerable people of the province. PEI handed over huge quantity of Medical and Surgical Supplies to Lady Reading Hospital (LRH) Peshawar dated 27 January, 2012 to assist vulnerable people of the province. PEI handed over large quantity of Medical and Surgical Supplies to Khyber Teaching Hospital (KTH) Peshawar dated 30 January, 2012 to assist vulnerable people of the province. PEI handed over huge quantity of Medical and Surgical Supplies to Hayat Abad Medical Complex (HMC) Peshawar dated 27 January, 2012 to assist vulnerable people of the province.